Dr Keith Nesbitt is a Senior Lecturer in Information Technology at the University of Newcastle. His research interests include computer games, virtual environments, user-interface design, information visualisation, agent-based modelling and creative processes. With an applied focus in these areas of research, Dr Nesbitt explores how these elements can be employed to solve real world problems. In particular, he looks at how information can be shared and received through engaging the senses. He has successfully secured funding for various projects, including the Strategic Initiatives Research Fund grant for his work in health informatics; the Teaching and Learning Project grant for the development of a virtual pharmacy; and the PRC in Physical Activity and Nutrition Seed Grant for his research in quantifying dysfunctional movement. Dr Nesbitt previously worked as a research scientist for BHP, assessing emerging computing technology and their potential impact on BHP business domains. He currently teaches into the courses related to computer games and computer programming. Dr Nesbitt is also a member of the School of Design, Communication and Information Technology’s research committee. Outside of academia, Dr Nesbitt is a seasoned songwriter and painter, and has exhibited his artwork in Newcastle, Sydney and Boston. Computer Games Information Visualisation Multi-sensory User Interfaces Virtual Environments Human Perception and Cognition Intelligent Agents Complex Systems Conceptual Modelling Creativity and Patterns 10 years - applied research BHP Research investigating advanced computer technologies applied to BHP business domains (Minerals and Petroleum Exploration, Mining, Manufacturing, Transport) 12 months - Post-Doc - New England Complex Systems Institute (NECSI) - Boston - Information Visualisation of Complex Systems in the domain of Health. Computer Languages (Java, C++, VB, Actionscript, Python) Computer Game Design Computer Game Production Software Engineering Process Modeling User Interface design Visualisation. © 2016. The authors license this article under the terms of the Creative Commons Attribution 3.0 License. Although post-error slowing and the ¿hot hand¿ (streaks of good performance) are both types of sequential dependencies arising from the differential influence of success and failure, they have not previously been studied together. We bring together these two streams of research in a task where difficulty can be controlled by participants delaying their decisions, and where responses required a degree deliberation, and so are relatively slow. We compared performance of unpaid participants against paid participants who were rewarded differentially, with higher reward for better performance. In contrast to most previous results, we found no post-error slowing for paid or unpaid participants. For the unpaid group, we found post-error speeding and a hot hand, even though the hot hand is typically considered a fallacy. Our results suggest that the effect of success and failure on subsequent performance may differ substantially with task characteristics and demands. We also found payment affected post-error performance; financially rewarding successful performance led to a more cautious approach following errors, whereas unrewarded performance led to recklessness following errors. Copyright © 2015 Inderscience Enterprises Ltd. In-match player performance, measured by data from Geographical Positioning System (GPS) devices, was predicted with a correlation coefficient of greater than 0.7. Predictions were based on heart rate variability measures and used advanced regression techniques based on machine learning. These techniques included methods for the selection of variables to be included in the regression study. Results indicate that variable selection using a wrapper subset method with a genetic algorithm outperformed both principal components analysis and the default method of using all variables. The success of prediction of match performance suggests a potential for new tools to assist the team coach in player selection and management of player training. This work also provides the possibility for a training programme to be adjusted specifically to meet the challenges of the size of the playing field and the temperature likely to be encountered on the day of the match. © 2015 Elsevier Inc. Evidence from studies of provocative motion indicates that motion sickness is tightly linked to the disturbances of thermoregulation. The major aim of the current study was to determine whether provocative visual stimuli (immersion into the virtual reality simulating rides on a rollercoaster) affect skin temperature that reflects thermoregulatory cutaneous responses, and to test whether such stimuli alter cognitive functions. In 26 healthy young volunteers wearing head-mounted display (Oculus Rift), simulated rides consistently provoked vection and nausea, with a significant difference between the two versions of simulation software (Parrot Coaster and Helix). Basal finger temperature had bimodal distribution, with low-temperature group (n. =. 8) having values of 23-29. °C, and high-temperature group (n. =. 18) having values of 32-36. °C. Effects of cybersickness on finger temperature depended on the basal level of this variable: in subjects from former group it raised by 3-4. °C, while in most subjects from the latter group it either did not change or transiently reduced by 1.5-2. °C. There was no correlation between the magnitude of changes in the finger temperature and nausea score at the end of simulated ride. Provocative visual stimulation caused prolongation of simple reaction time by 20-50. ms; this increase closely correlated with the subjective rating of nausea. Lastly, in subjects who experienced pronounced nausea, heart rate was elevated. We conclude that cybersickness is associated with changes in cutaneous thermoregulatory vascular tone; this further supports the idea of a tight link between motion sickness and thermoregulation. Cybersickness-induced prolongation of reaction time raises obvious concerns regarding the safety of this technology. In this paper we set out to verify the existence of Miles and Snow strategy types in Australian small- and medium-size enterprises (SMEs) through objective classification. Australian SMEs, in particular, are interesting as they are reported to have some unique characteristics, with as many as 70% following a low growth or life-style pathway. While numerous empirical studies have been conducted to validate the existence and characteristics of the Miles and Snow strategy types in different domains for both larger and smaller enterprises, these studies typically rely on a subjective, &apos;self-typing&apos; approach. In this study we employ a more objective approach by identifying measures from existing survey data that capture the strategic dimensions proposed by Miles and Snow. We use these objective measures in a K-means cluster analysis to identify four different strategic groups. Three of the groups correspond to the three &apos;viable&apos; Miles and Snow strategy types of Defender, Prospector and Analyser; however, we also identify a &apos;Static&apos; strategy type that constitutes 42% of SMEs in the sample. © The Author(s) 2012. Information Visualisation is an emerging discipline that concerns the design of interactive computer systems that provide the user with a visual model of abstract data. Information Visualisation implies a mapping from the data attributes to the units of visual perception. Information Sonification is an embryonic field that uses sound rather than imagery to present abstract data. Information Sonification, implies a mapping from the data attributes to the units of auditory perception. In both these fields the need to describe appropriate mappings between the data and the units of perception has led to models or taxonomies that describe the available design space. While these models of the visual design space and the auditory design space may be appropriate for people working in a single sensory domain, these models based purely on sensory attributes are very disjoint. However, for designers who wish to consider a multi-sensory solution to information display, these disjoint models of the different sensory domains make it difficult to compare and contrast the possible mapping choices. This paper describes existing conceptual models of the visual and auditory design space and then proposes a different conceptual modelling of the multi-sensory design space. This new model describes the units of perception but is not based on sensory attributes, but typical information metaphors. Throughout the paper all discussions are illustrated using the UML modelling notation which is a standard notation used to document the design of software systems. .Copyright © 2006, Australian Computer Society, Inc. Copyright 2016 ACM. Ambient Information Systems are designed as everyday, peripheral information sources that visualise useful data in a way that can be attended to when possible. Importantly these displays need to be designed to seamlessly fit into their environment and should not interrupt an individual from their primary task. The first Ambient Information System, known as the "Dangling String" was described in the literature in 1996. Since this time a number of different systems have been reported. In this paper we re-examine the concepts, definitions and background to this field that have developed over the last 20 years by performing a detailed narrative review of the field. As a result we provide a detailed discussion on the key design features or dimensions that have been used to help categorise and evaluate such displays. We also examine 36 previously reported Ambient Information Systems and categorise them in terms of an existing taxonomy of design patterns for such systems. A benefit of this taxonomy approach is that it helps us identify an underutilised design area for these displays and leads us to propose a new design pattern, known as the "Aesthetic Awareness Display" to assist in the design of these systems. This type of Ambient Display uses metaphors in order to encode a few data elements into an aesthetically pleasing display with the goal of raising general awareness about the data. Copyright 2016 ACM. The widespread popularity of computer games have led to their expanded use in more serious applications for training and education. In many cases serious games are being advanced as more compelling than traditional face-to-face or interactive online training. A typically reported motivation for developing serious games is to try and increase engagement of participants and thus ultimately the effectiveness of the training experience. In this paper we discuss the relation of affect to engagement. The training reported in this study relates to a psychological counseling program developed to assist patients with comorbidity in depression and alcohol use disorders. A pre-existing online intervention program, called "SHADE", had been found to provide effective treatment when participants completed the program. However, a significant number of participants failed to complete the program, with most exits occurring when Cognitive Based Training (CBT) was integrated into the online program. To try and increase the number of participants completing the program a serious game, called "Shadow" is being developed to cover similar material. This paper reports on a study that uses the startle reflex modulation measure to try and objectively quantify the affective engagement of players in the two treatment approaches, Shadow, the serious game, versus SHADE, the online intervention program. Also reported are the issues associated with using affective processing, as measured by the startle probe technique, as a means of evaluating engagement in serious games. © Springer International Publishing Switzerland 2015. Sound in video games is often used by developers to enhance the visual experience on screen. Despite its importance in creating presence and improving visual screen elements, sound also plays an important role in providing additional information to a player when completing various game tasks. This preliminary study focuses on the use of informative sound in the popular multiplayer online battle arena game, Dota 2. Our initial results indicate that team performance improves with the use of sound. However, mixed results with individual performances were measured, with some individual performances better with sound and some better without sound. When designing multi-sensory displays it is necessary to consider human perceptual capabilities and understand how people find patterns and how they organise individual elements into structures and groups. Gestalt theory, originally described in 1910, attempts to explain the way people perceive and recognise patterns. The early studies of Gestalt principles of grouping were predominantly concerned with visual perception, although more recently they have been investigated for auditory perception. This paper focuses on how individuals use the sense of touch (haptics) to group display elements using the Gestalt principles of similarity and proximity. A direct comparison is made with the visual grouping of elements using the same two principles of similarity and proximity. The hypothesis of the experiment described in this paper is that people will use touch to group display elements in the same way they group elements visually. Overall we found that a significant number of subjects used texture or colour to group the elements when there was an equal spacing between the elements. This supports our hypothesis that the principle of similarity is equally applicable for both visual (colour) and haptic (texture) grouping. Similarly, when subjects perceived an unequal spacing between the elements they used spatial position to determine groupings. These results support our hypothesis that the principle of proximity is also applicable for both visual and haptic grouping. © 2007, Australian Computer Society, Inc. This paper discusses the emerging area of tactile and haptic display and some of the breadth of applications of tactile/haptic interactions. While many research studies have provided ergonomic insights into the design of tactile/haptic interactions, the many dimensions and properties of these interactions make it especially difficult to combine the guidance from these individual studies. The GOTHI-05 workshop (Guidelines on Tactile and Haptic Interactions, October 2005) brought researchers together to develop a collection of ergonomic guidance and a framework (the GOTHI model of tactile and haptic interaction (Carter, van Erp, et. al., 2005)) for organizing this guidance. The inaugural meeting of ISO TC159/SC4/WG9 further refined this framework and adopted it as the basis for structuring its new series ISO standards on tactile and haptic interactions. The model itself will be elaborated in ISO 9241-910 Framework for Tactile and Haptic Interactions. The model has already proven useful in identifying and organizing specific guidelines in the first drafts of ISO 9241-920 Guidance on Tactile and Haptic Interaction. The paper discusses the various dimensions and properties of tactile/haptic interactions, identified in an expanded version of GOTHI model and identifies major considerations based on this model for use by developers (and potentially by evaluators) of interfaces that make use of tactile/haptic interactions ISO, 2006). The design process of any visualisation involves many design decisions. One way to assist with these design decisions is to provide guidelines. This paper introduces the MS-Guidelines and the rationale behind them. The MS-Guidelines form a group of structured guidelines intended to help in designing not just visual but also multi-sensory displays of abstract data. They are organised by using the structure and concepts of the MS-Taxonomy. This taxonomy functions as a framework that allows guidelines to be categorised at different levels of detail. High-level or general guidelines can support early design considerations. More detailed, low-level guidelines provide support for more specific design decisions. To assist the designer use the guidelines they are incorporated into a multi-sensory design process called the MS-Process. An introduction to the MS-Taxonomy and the MS-Process is provided and discussed briefly in the context of information visualisation. A summary of the MS-Guidelines for visual display design are also presented. © 2005, Australian Computer Society, Inc. 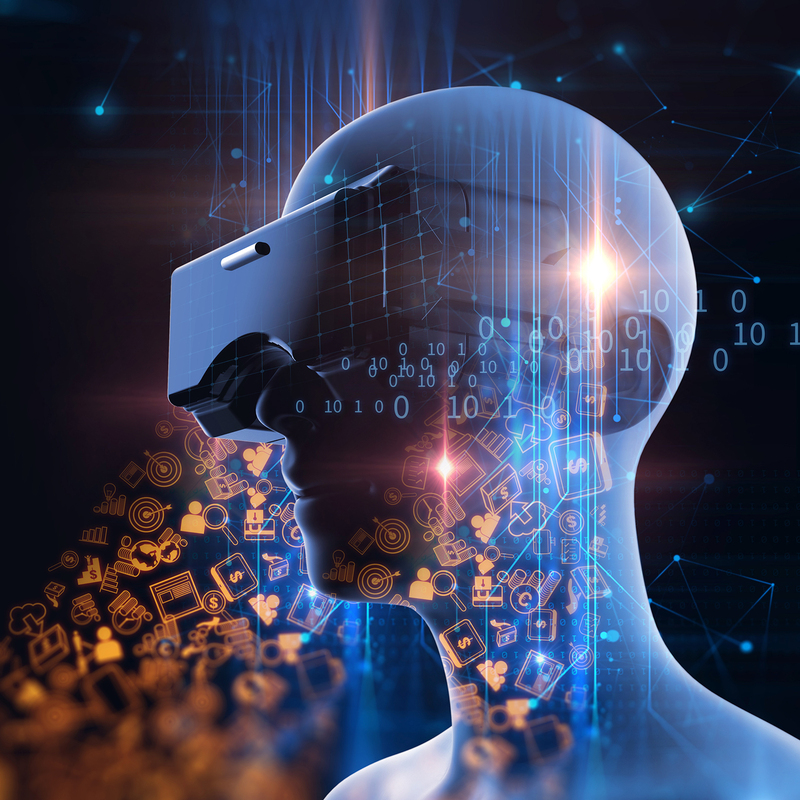 The University and ADC have a Memorandum of Understanding (MOU) to collaborate on research into the use of virtual simulation to support individual training.